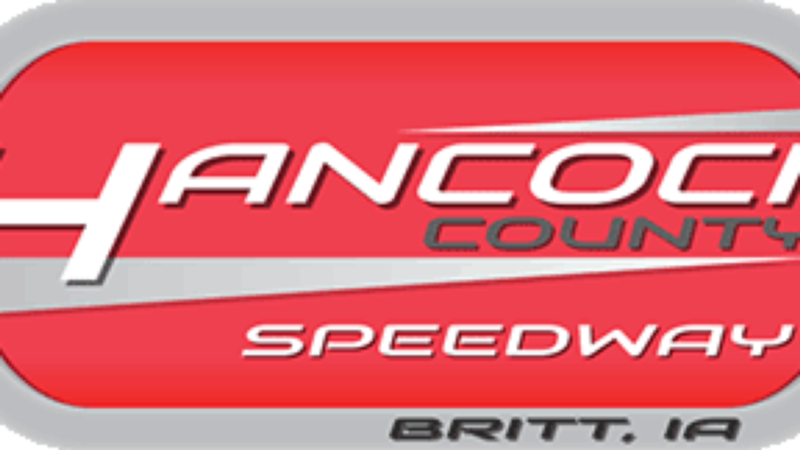 CONCORD, NC (May 7, 2018) - The richest race in the United States for US Legend Cars will see live video coverage from the team at LegendsNation TV this June at Hancock County Speedway in Britt, Iowa. Over $5000 is up for grabs to the winner of the inaugural US Legend Car Dirt Classic with Friday night's preliminary festivities paying $1000 to the winner. Hancock County Speedway is known for creating and maintaining special events of national caliber at the Speedplant in northern Iowa. Home of the IMCA-sanctioned Nights of Stars (1000, 10,000 and All Stars), HCS has long been held as a favorite facility for both racers and fans with a quick-running program which features multi-groove racing and vast run-off room for cars when things go wrong. "We're really excited about this event and feedback from competitors has been fantastic," said Brian King, promoter of Hancock County Speedway. "We've had people interested from across the country, a number of pavement specialists who will be joining us, and plenty of local drivers who want to compete against some of the best drivers around. For the first year, things are shaping up nicely." Legend Car racers will find Friday night's preliminary activities a perfect opportunity to test out the Hancock County layout as Racing For a Cause presents a full night of racing including the $1000-to-win Legend Car preliminary feature, the Prelude to the Classic. Additional events on the card include a full slate of weekly action with modifieds, sport mods, stock cars and more. A portion of the night's proceeds will benefit Concerns Of Police Survivors (C.O.P.S. ), a charity dedicated to serving families of over 100 police officers who are killed in the line of duty each year. Also in the planning stages is a "King of the Hill" event for Legend car racers. Entries will be limited to the first 18 drivers in order their entry is received. The event features a bracketed grudge-race style format for 2 laps where the winner advances to the following round. The top three positions will be paid out, starting at $400 to the winner. "We can't do a normal race event without having some big fun and making a big impact," King joked about the inaugural Dirt Classic. "By having C.O.P.S involved in our Prelude to the Classic, we are able to give back to the community and those who serve. The king of the hill event we are finalizing allows racers to have some additional fun and showcase the raw car control of each competitor who attempts each round, and it's also great for the fans. No doubt, we're working to make this event a staple for Legend Car racers across the US each summer." LNTV's coverage from Hancock County Speedway will include both nights of action and every lap of on-track competition from the Prelude to the Classic and the inaugural US Legend Car Dirt Classic. Viewers can expect LNTV's trademark coverage with multiple cameras, replays, special segments and more which showcase the racers and personalities of the US Legend Car racing community. For more information on the US Legend Car Dirt Classic, including complete entry form details and race specifics, visit the Hancock County Speedway website at www.hancockcountyspeedway.com. To join the growing group of active subscribers to LegendsNation TV, fans may visit www.legendsnation.tvfor signup information. LNTV is the home of marquee and national US Legend Car and INEX races including the US Legend Car Dirt Classic, the Rocky Mountain Rumble, all ten rounds of the Bojangles' Summer Shootout and all of the major national INEX-sanctioned events. Each broadcast is produced by LN partner Pit Row Media.